The Parish Church of All Saints, in the South Oxfordshire village of Rotherfield Peppard. Taken on my phone cam during a recent ancestor hunt in this area. Rotherfield Peppard is the location of my earliest verified Brooker ancestors. Many years ago, perhaps nearly twenty years ago, I had traced my surname family line to a John & Elizabeth Brooker that lived in the South Oxfordshire village of Rotherfield Peppard during the 1841 census. My trail came to a dead end with that John Brooker. He was my G.G.G.G grandfather, and was born circa 1787. John fathered another John, who fathered Henry, who fathered John Henry, who fathered Reginald John, who fathered my father. My surname trail has been stuck there ever since. Until perhaps very soon into the future. I lost interest in genealogy around twelve years ago or so. Really, my interest started to drift away perhaps soon after discovering the above dead end on my surname line. Then an impulse buy of a 23andMe kit this January, and inspired by the new genetics side of the interest, I returned to genealogy a few months ago. I discovered the advantages (and some of the downfalls) of 21st Century Internet Genealogy. I've expanded my family tree in several directions using these new resources. But that old surname, that continued to frustrate. You see that 1841 census, it left me with a teaser. Later censuses record the actual parish of birth, and actual age of each person in England & Wales. The 1841 census however, merely asked people if they were born within the county of residence or not, and summarised their ages into five year round ups. Elizabeth stated that yes, she was born in Oxfordshire. John on the other hand said No! He was born outside of Oxfordshire. I remember the long drive home from the Oxfordshire County Record Office many years ago, and considering that answer. I knew that the nearest other county was Berkshire, and that I kept seeing Brooker families in Berkshire. I speculated that he most likely was from Berkshire. It was a bit of a surprise, because my wife at that time, and the mother of my children had ancestors herself nearby in Berkshire. That 23andMe DNA test revealed a number of surprises. One of them was that I had an incredibly rare Y-DNA haplogroup for North-West Europe. As a Y haplogroup, "L" is mainly found in any percentages in South Asia, particularly in South India, and also around Pakistan. My actual sub clade however, is rarer, and is mainly found south of the Caucasus in Western Asia, where Anatolia meets the Levant. One ethnicity that it has been linked to are the Pontic Greeks that traditionally lived around the Black Sea. I'm presently investigating it with a thorough ftDNA Y111 STR test, followed by an ftDNA Big Y test. Yes, I've chucked too much money at it. Okay, it's just a genetic signal, just a marker. It doesn't have any value nor effect on who I am. But it does link me to a part of the World in a kind of personal, measured way, that I never imagined. I do want to know, so far as I can, how this Y haplogroup got into Europe, into North-West Europe, into Britain, and into my Brooker surname line. Can I use it to link to any distant Y cousins, that live today or perhaps in the past (ancient DNA) in other ethnicities? Will any Brookers directly descended from the same Oxfordshire cluster of Brookers, ever test, and record their haplogroup online? If I don't test and record myself, then no, that will never happen. I'm not expecting recent cousins. I hope to merely find very distant cousins. In a sense I already have. I have many in India, Pakistan, Armenia, Syria, Chechnya, etc. We all do. However I know have a link that I can measure. This has forced me to re-launch my investigation in my surname line. Will I find any clues to how and when it entered the line? It should be easy right? Even local genealogists have said to me "there aren't many Brookers around here". Wrong. There are a lot in the Thames Valley, and they've been there quite some time. Most researchers of the Brooker surname, end up in Kent/Sussex. That is because Kent is the English county, with the highest density of the Brooker surname today in telephone directories etc. At first, I thought that my Brooker line came out of Kent, because my great grandfather lived at Sidcup for many years. However, I later discovered that his father actually originated in South Oxfordshire. There are scatters of Brookers across England. There's even one family established in Suffolk. The Oxfordshire / Berkshire Brooker cluster however, is second only to the Kent/Sussex cluster. They've been in the Thames Valley quite some time. So, on returning to genealogy, I start to use the new Internet resources. FamilySearch.org, Ancestry.co.uk, FindMyPast.com. I search for John Brooker born circa 1787 anywhere, but particularly in Berkshire. I narrowed it down to about three candidates, and then by a process of elimination down to one, my most likely candidate. I check censuses to see if John Brooker of Berkshire disappears before my validated John Brooker of Oxfordshire emerges on the 1841 census, married to Elizabeth, with several kids. Finally, I settled on my favourite. He was born at Hurley, Berkshire. Only four miles away from a major bridge over the Thames into Henley, Oxfordshire, and seven miles from Rotherfield Peppard. I even travelled down to the area, to check it out. It was all so plausible. I'd cracked the puzzle after all of these years. Noone else on Ancestry.com sharing my Brookers had come up with the same answer. Most were stuck at 1841, or later. One had a silly proposal to a highly improbable ancestor. I had reached Hurley. In Hurley, I took this new extension back to another John Brooker, before him a Richard Brooker, before that another Richard Brooker, as well as some of the maternal lines. A cracking breakthrough. I was back to G.G.G.G.G.G.G grandparents on my surname line. I was chuffed, even announced it here and on Facebook. Hurley was the ancient home of the Brookers. And what a beautiful village! The church at Hurley above. But it was incorrect. A nagging feeling that I really had not searched thoroughly enough, that this John Brooker of Hurley, totally disappeared before mine appeared in Rotherfield Peppard. I want all of my genealogy to be well validated and properly sourced. But particularly for my surname line. I'm spending a lot of money on those Y chromosome tests. I don't want to tag it to a bad, untrue ancestry. So I took another look. I found a doppelganger in the Hurley area. He had children there, in the parish next to Hurley. He fit the John Brooker born in Hurley during 1789 even better than my ancestor. I had rushed, messed up. I was too quick to accept the link. I made another mistake. It meant deleting a whole bunch of ancestors from my family tree. But it had to be done. I kept looking online. I kept seeing other John Brookers. I even kept seeing more John and Elizabeth Brooker families! Everything that I checked out on Ancestry.com and FindMyPast.com fails tests. I need good evidence. It was the free LDS service at FamilySearch.org though that provided the next candidate. I see references to a number of children born to a John and Elizabeth Brooker at Sonning, Berkshire. The children were all slightly older, and had different names to any of those later at Rotherfield. I looked up Sonning. Sonning Common was actually north of the Thames, right next to Rotherfield Peppard! I even discover that my G.G.G grandfather John Brooker (Junior) was living there in 1841! Eureka (again)! I'm recording everything now. I even buy some marriage and death certificates from the GRO, looking for any link whatsoever. Any correlation. Any new note or mention. I also start to purchase CD-ROMS of transcripts of parish registers from the Oxfordshire FHS, and to consult them by email. When I look closer, I can see that if this family really were mine, then the mother, Elizabeth, must have been incredibly young at marriage, around sixteen. I'm starting to have doubts again. A researcher from Oxfordshire FHS replied. They explain the confusing situation with Sonning Common. 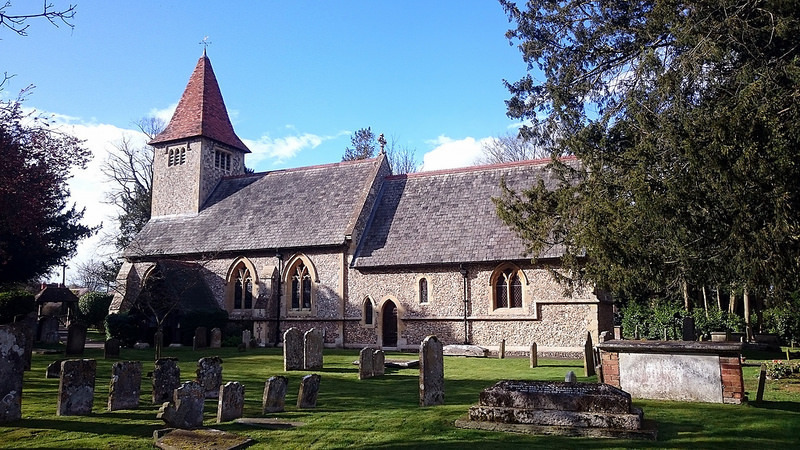 It belonged to a parish south of the river, in Berkshire. They also doubted the connection. The births just didn't fit. My CD-ROMS start to arrive. They didn't fit. I'd chased the wrong connection again, for a second time. The latest attempts. I'm not giving up yet. Hurley was wrong. Sonning was wrong. I can still get this. Then the other night, I played with some more online searches, and I see something on the 1861 census of Rotherfield Greys, that I hadn't spotted before! There was an old couple living in another neighbouring parish by the name of John and Elizabeth Brooker. Not only that, but the 1861 census recorded their parishes of birth. This John Brooker was born at Long Wittenham, Berkshire. Elizabeth was born at Drayton, Oxfordshire. It fits. Elizabeth Brooker born inside Oxfordshire, her husband John born outside of Oxfordshire! And so close! Have I done it this time? There is a problem with the connection. The ages are wrong. According to the 1841 census, my ancestor John was born between 1787 and 1791. The 1861 John was born 1781 - according to the enumerator. Equally, in 1841 Elizabeth was recorded as being born between 1797 and 1801. This 1861 Elizabeth was recorded as being born 1786. They're too old. 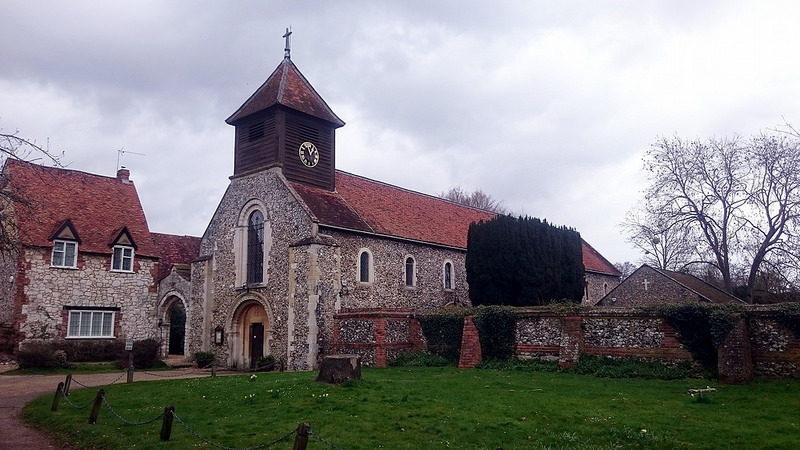 However... a search for a John Brooker baptised at Long Wittenham, produced two transcripts of a John, son of Edward and Elizabeth Brucker baptised 17th January 1789. Wow, if this is the same guy at Rotherfield Grey in 1861, then his age is wildly out, and he fits into the age of my 1841 John after all. It can happen. They were old. They could be deaf, or the person reporting to the enumerator could have had senile dementia. A neighbour could have helped out, but got their ages wrong. How many John & Elizabeth Brookers could be in the Rotherfield area? I have yet another expensive Oxfordshire FHS parish register transcript CD-ROM on the way. I feel increasingly pressured to spend a few days in the Oxfordshire and Berkshire record offices. Long Wittenham has changed county. It is near to Abingdon, on the south side of the Thames, and it was in Berkshire at that time. It is now in Oxfordshire. Drayton, is on the other side of the river, not far away. The couple in must have met and married in that area of the Thames valley, and later, moved around twelve miles down river to the Rotherfield area. Are they my 1841 couple though? I have decided to add them to my tree - but subject to removal or verification, as I research them further. If that baptism date pans out, with no earlier doppelganger being born in Long Wittenham, I'll start to feel happier. If they do work out, then I have already found two new generations by the looks of it. As I said above, this John, was the son of an Edward and Elizabeth Brucker. He in turn, may have been the Edward Brooker baptised at Long Wittenham on 16th January 1757, to another earlier John and Mary Brooker. It's taken me to a new and unexpected area of the Thames Valley. Internet Genealogy is hazardous. Not just because of the forest of diseased, incorrect, badly researched, badly sourced trees out there, that Family History websites push into your face. It is also hazardous because it is incomplete, but easy. It is easy to believe that all paper records are online. They are not by a long chalk. Even the paper record is actually incomplete. Many parish records have been damaged, lost, destroyed. Some even evaded them. Some have not been handed over to archives. It is too easy with Internet Search to look for a Joe Bloggs, find a Joe Bloggs, any, and to grab them. However, did you grab the right one? Was it simply the only one on the Internet, in that particular database entered transcription? Don't be at a rush to grab your Joe Bloggs. Take your time. That is my weakness. Don't be afraid to have doubt. Keep going back. Check, verify, check again.